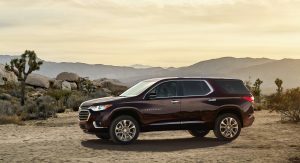 Chevrolet announced the pricing and range details for the 2018 Traverse which now packs more tech and a redesigned bodywork. 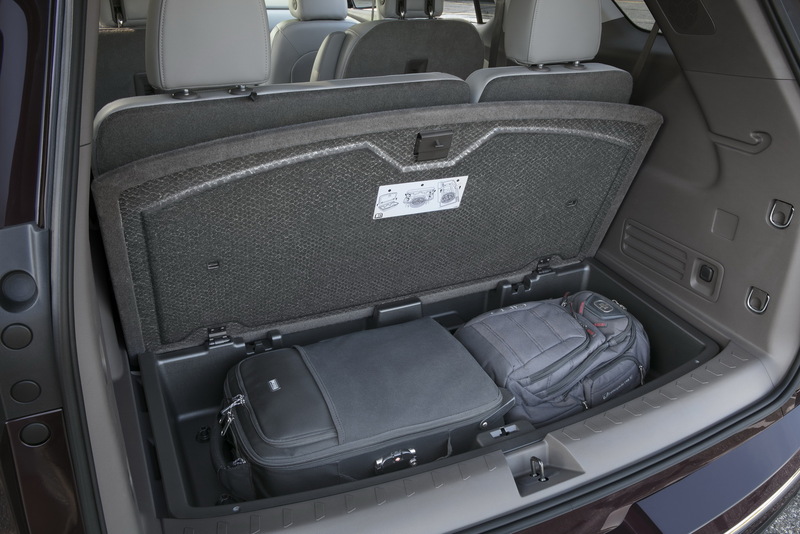 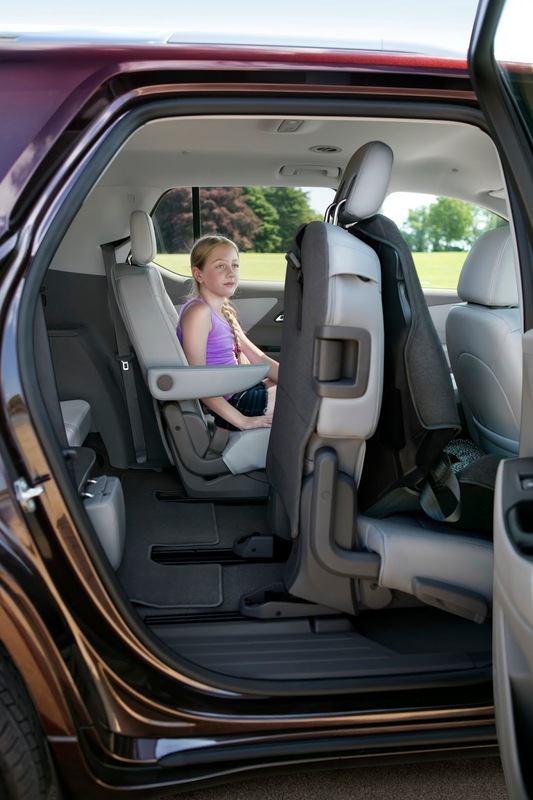 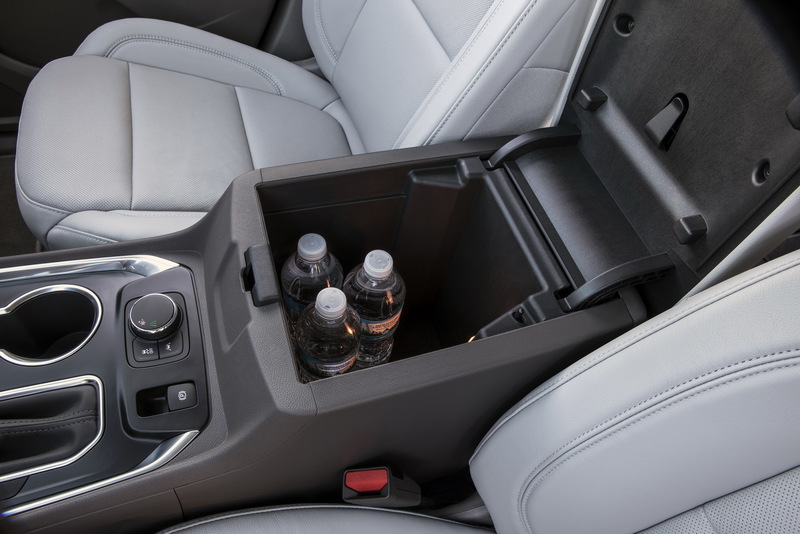 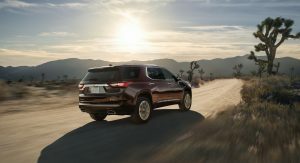 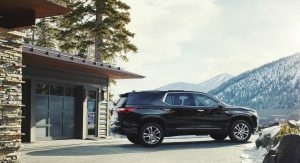 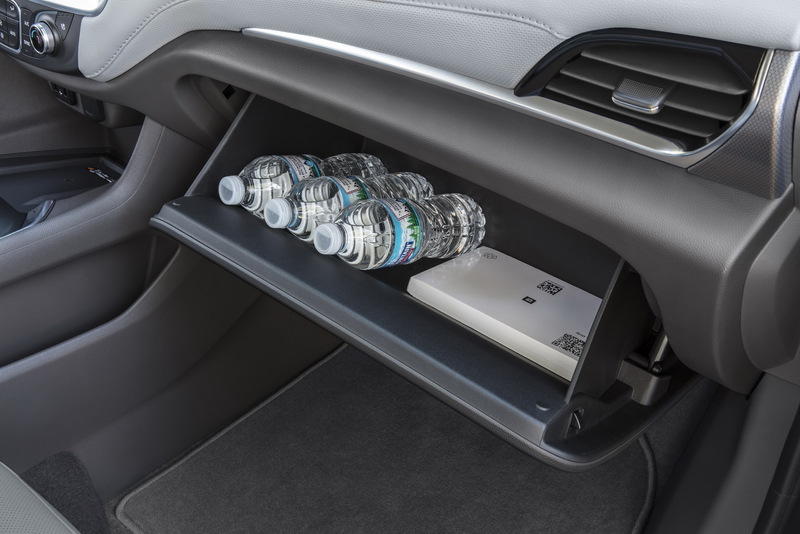 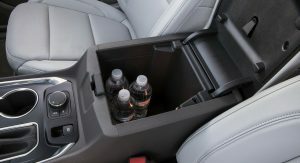 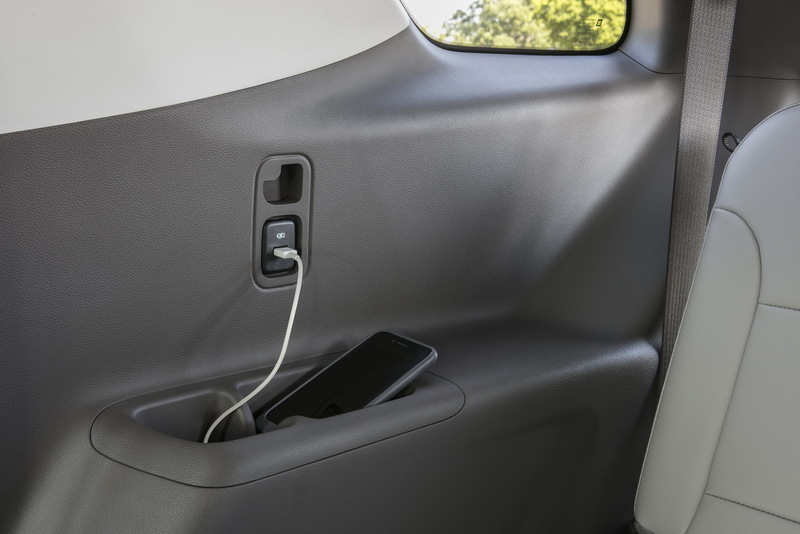 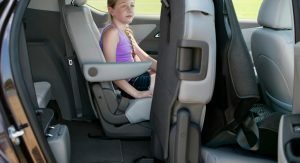 The company also claims that the new 2018 Chevrolet Traverse offers best-in-class maximum cargo space, beating models like the Ford Explorer, Honda Pilot and Toyota Highlander. 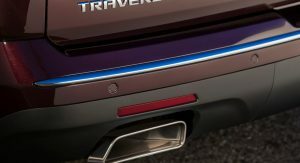 Customers will be offered more trim choices than before, including L, LS, LT and Premier, along with the sporty RS and range-topping High Country trim levels. 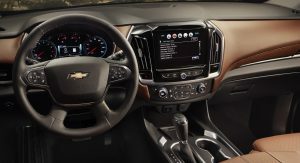 Chevrolet will also offer a Redline package for the Premier edition, featuring a murdered-out appearance with red details. 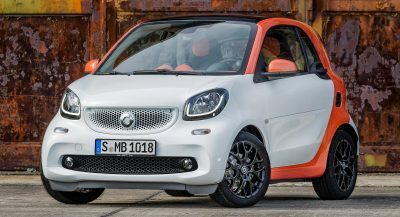 Entry-level models are powered by a turbocharged 2.0-liter Ecotec four-cylinder with 255 hp and 295lb-ft (400 Nm) at 3,000 rpm. 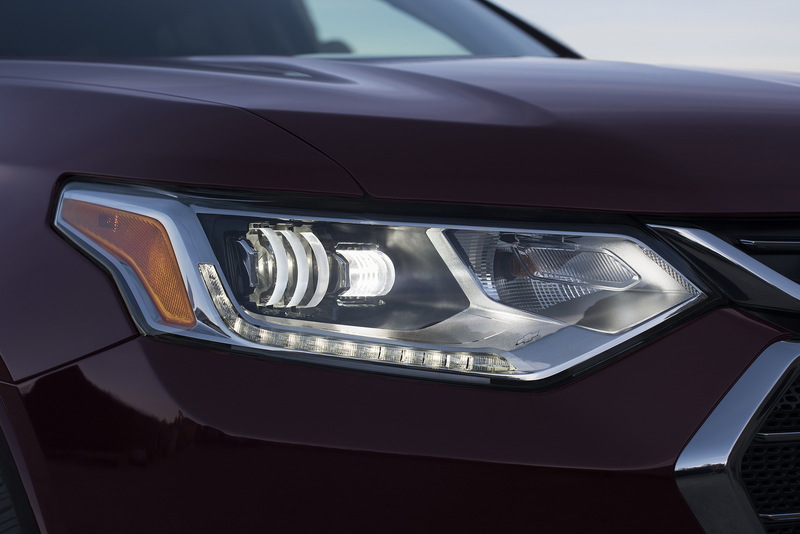 A 3.6-liter V6 is also on offer, with 305 hp at 6,800 rpm and 260 lb-ft (350 Nm) of torque. 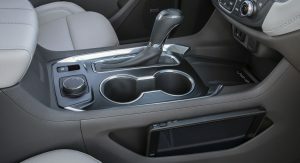 Both of them are paired to a nine-speed automatic transmission. 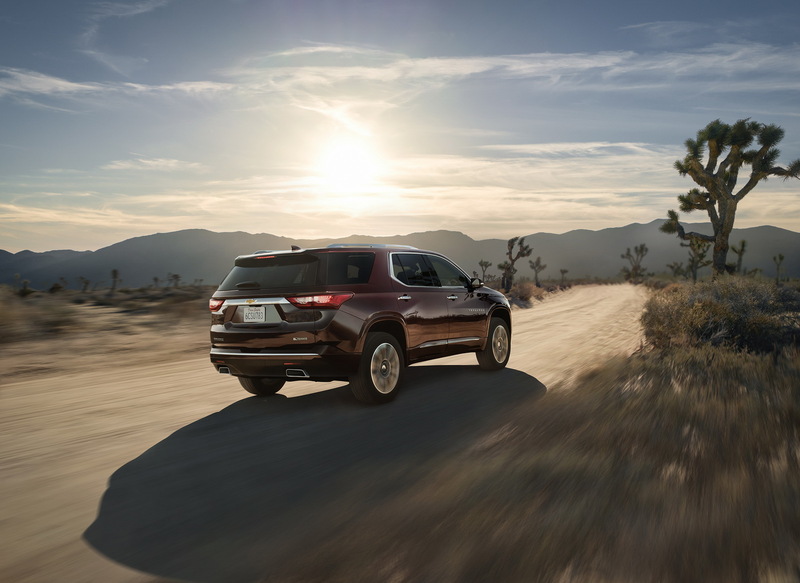 All-wheel drive is available, with front-wheel drive offered as standard. 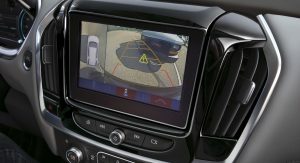 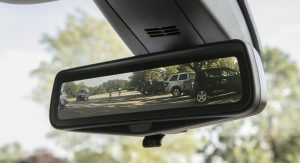 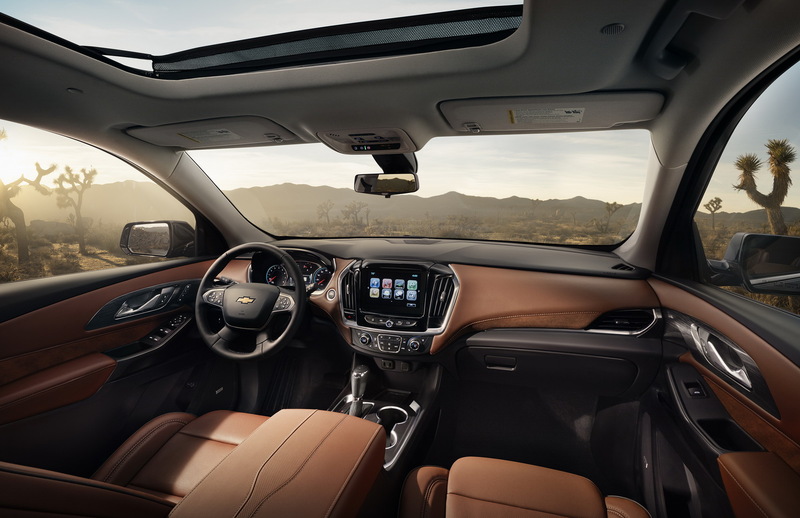 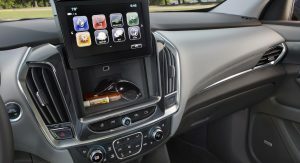 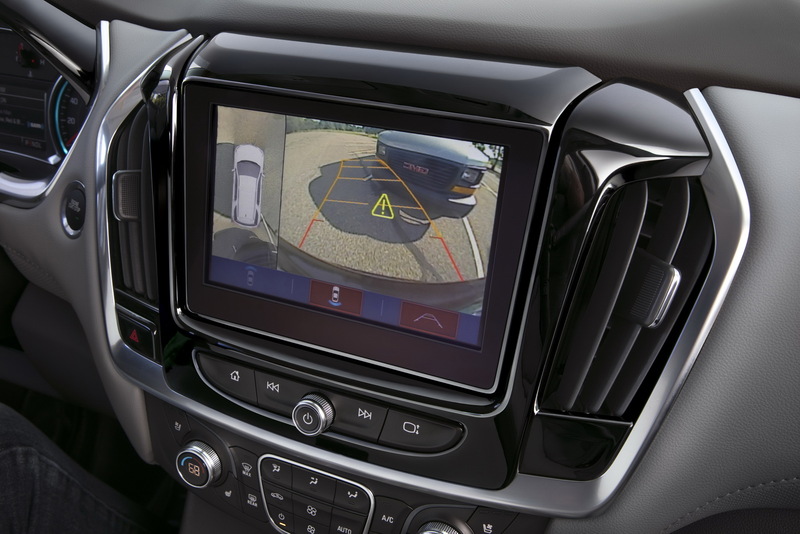 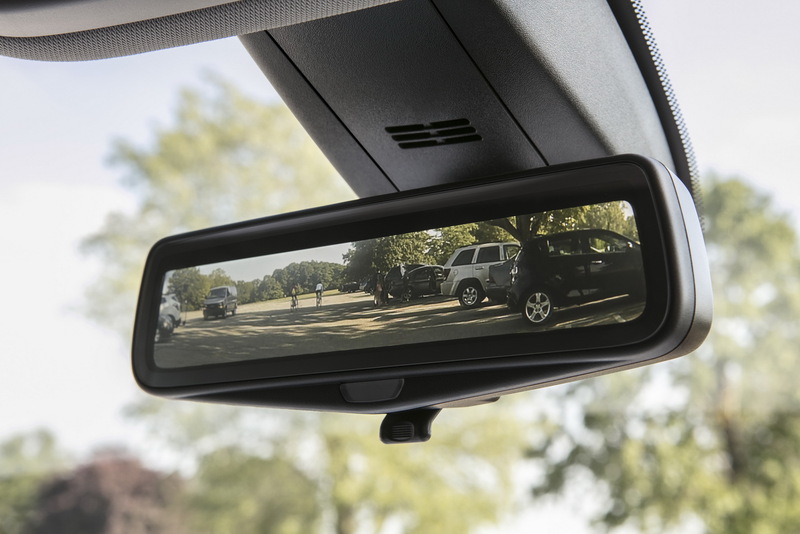 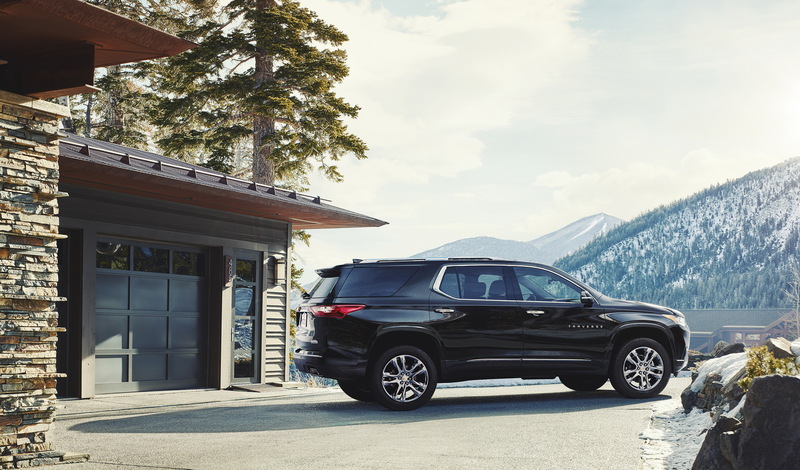 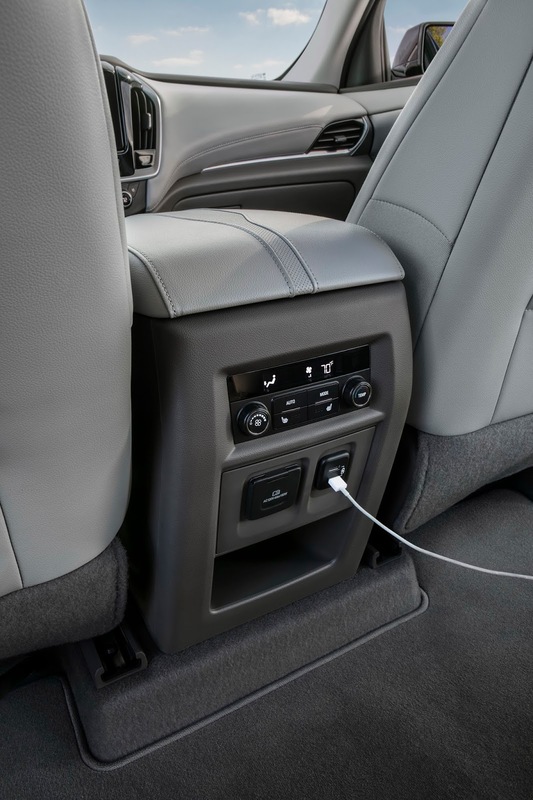 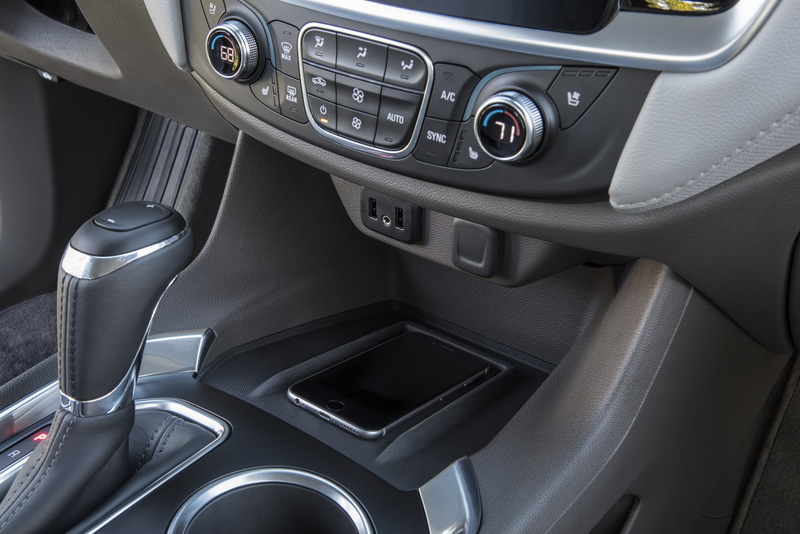 Chevrolet also offers the 2018 Traverse with features like a rear camera mirror, surround vision cameras, wireless charging for mobile devices, Apple CarPlay and Android Auto, built-in OnStar WiFi hotspot and more. 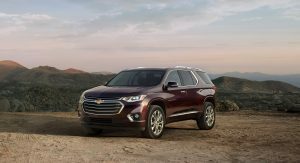 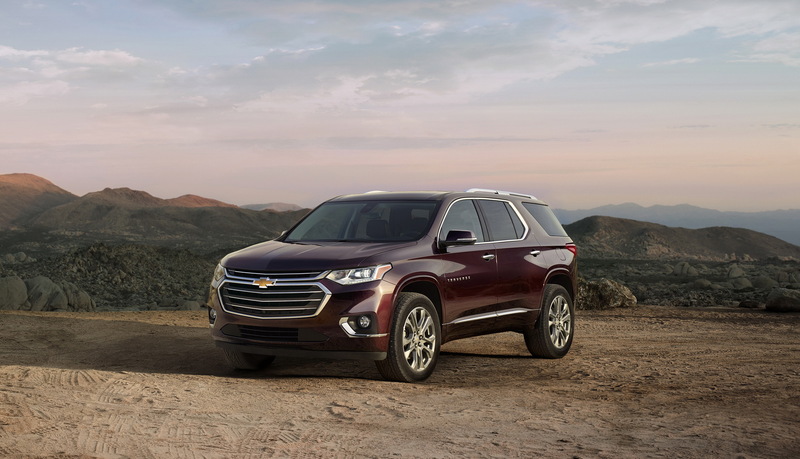 Prices kick off at $30,875 for the 2018 Chevrolet Traverse, with the company also launching the model’s configurator at Chevy.com/Traverse. 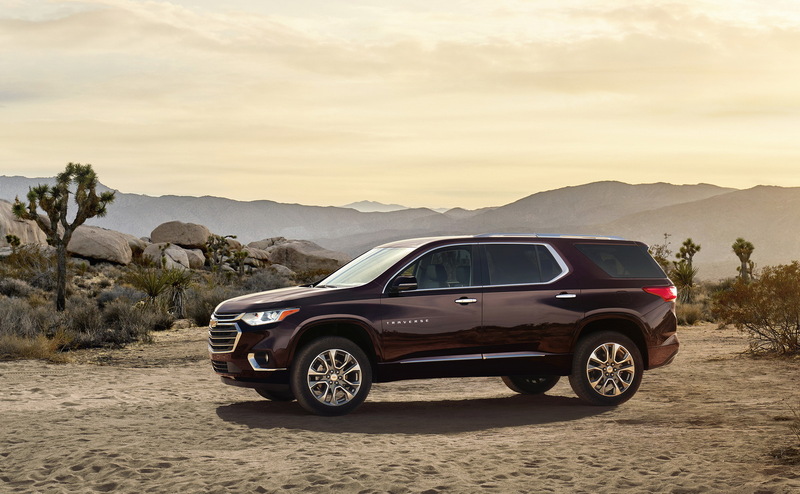 $30,875 is for the base model; the model shown is $52,995 (without certain uncharged paint, other options and excluding accessories). 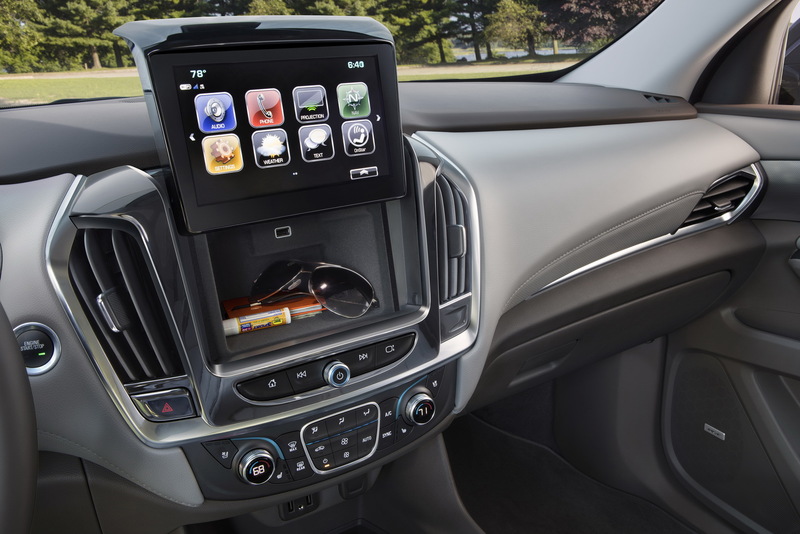 GM had and still have some of the best designs around. 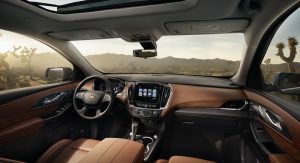 Love most of chevy’s models. 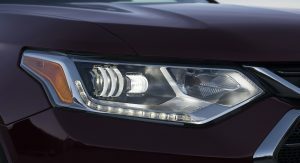 I rented an Acadia (pretty much the same animal) recently when my car was in the shop for two weeks and I ended up really liking it! 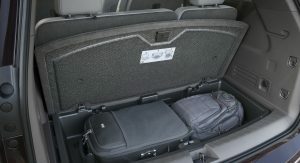 It was sooooo comfortable and roomy with lots of little extras. 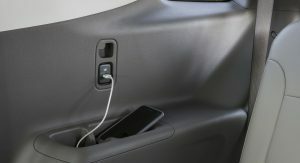 Personally i feel like this is a massive improvement. 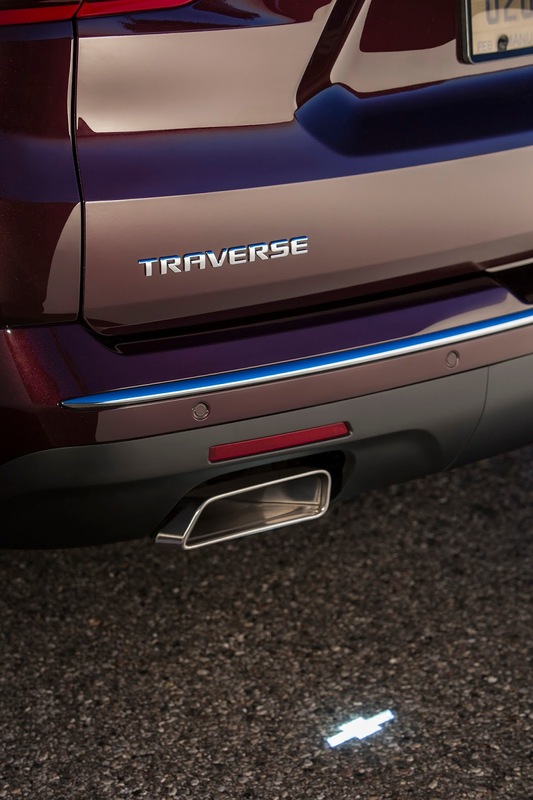 That looks a million times better than the outgoing Traverse. 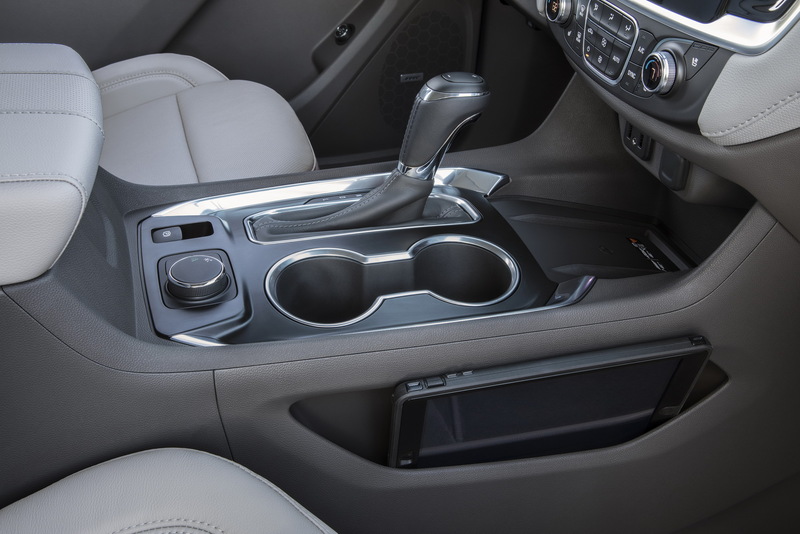 The interior is brilliant in terms of practicality imo. 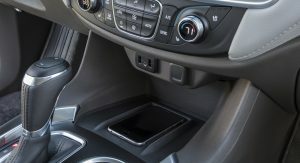 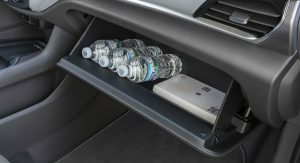 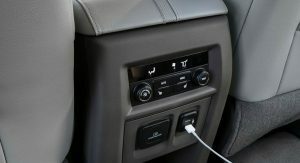 Just look at that storage box behind the infotainment screen. 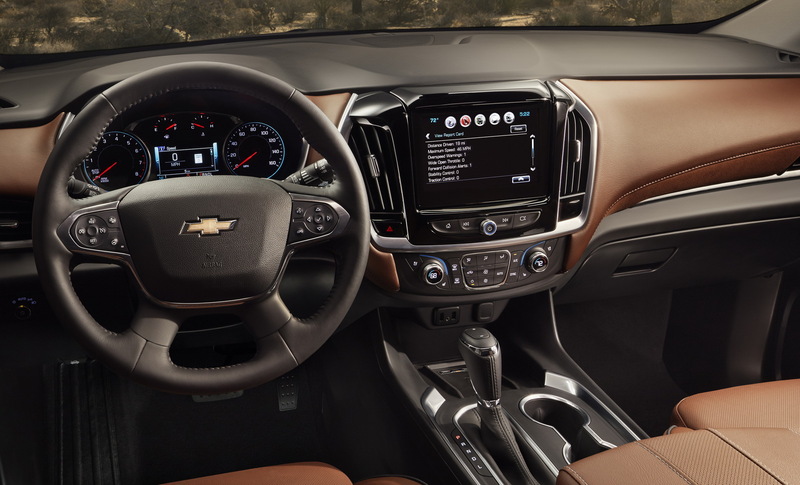 Not really familiar with the US trucks, but if this gets a GMC version in Denali trim with nicer materials, it would a really nice car. 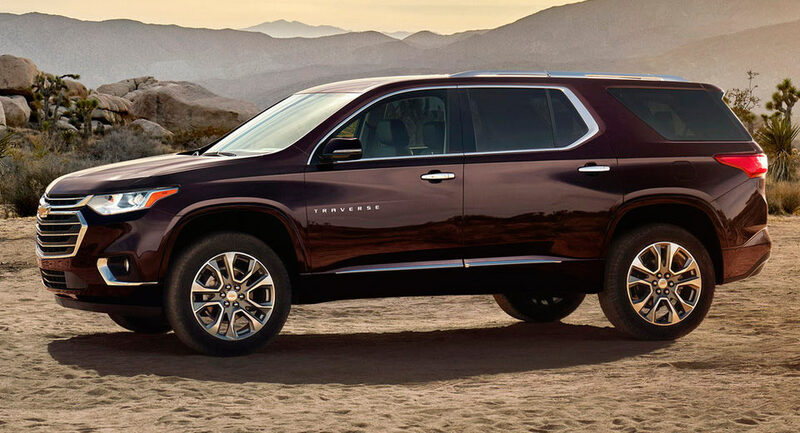 For some reason, I can totally picture a mini Escalade version.